The day after we arrived at Camp 1 we set off to carry a cache higher up the mountain. The skies were clear, and consequently the sun bore down on us mercilessly. We left at 1100hrs with the temperature hovering around 25c. Filling my sun cap with snow did little to cool me down.Covered in sunblock and lugging our orange pulks, we ascended Ski Hill then pulled ourselves up a wide section of glacier, stopping every hour to rehydrate and snack. 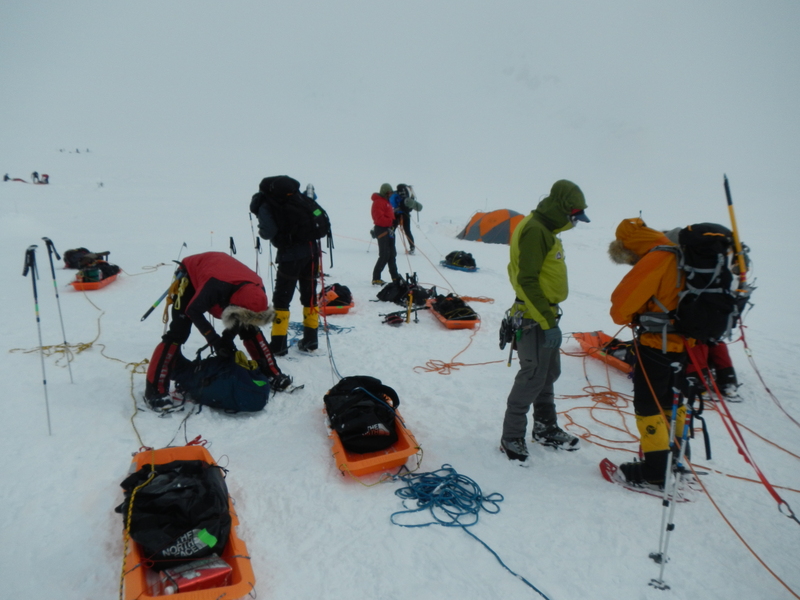 The photo below shows three rope teams preparing to set off from Camp 1. Three hours into the carry, a small bird, green and yellow and smaller than an English Robin, appeared on our path. The bird hopped and flew, never more than 5 metres away from us, and followed us for over an hour. When we rested, it rested on my pulk, insulated from the snow. As it got more exhausted, it hitched a ride on the hand of one of our expedition. Birds like this get blown onto the mountains during storms and can’t survive long. After five and a quarter hours, we reached our desired cache location. I was very dehydrated and mentally was in a dark place. Fortunately, food, water and a quick rest sorted me out, and as we descended, I led my rope team down as a new man, full of the joys of life. Unfortunately, on our trail the small bird lay frozen, partly buried in the snow. As I took the photo below, I had a moment’s respite from the sun as it hid behind a cloud. 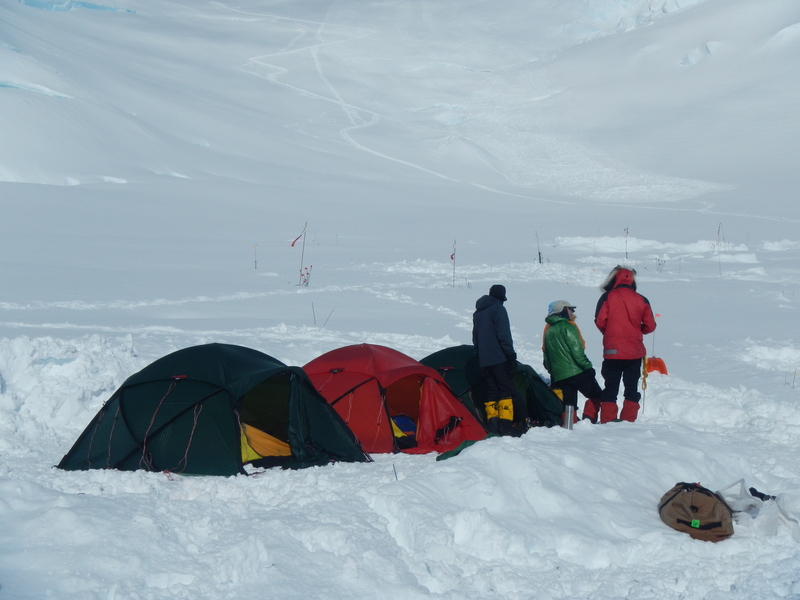 My rope team arrived back at camp after a speedy 1.5 hours of descent having taken in spectacular views. With our spare time we dug and carved a sofa out of snow with a view of Ski Hill, and cracked open the salami, Pringles and whisky! Dinner was Indian-themed, with music, merriment and a spectacular curry. 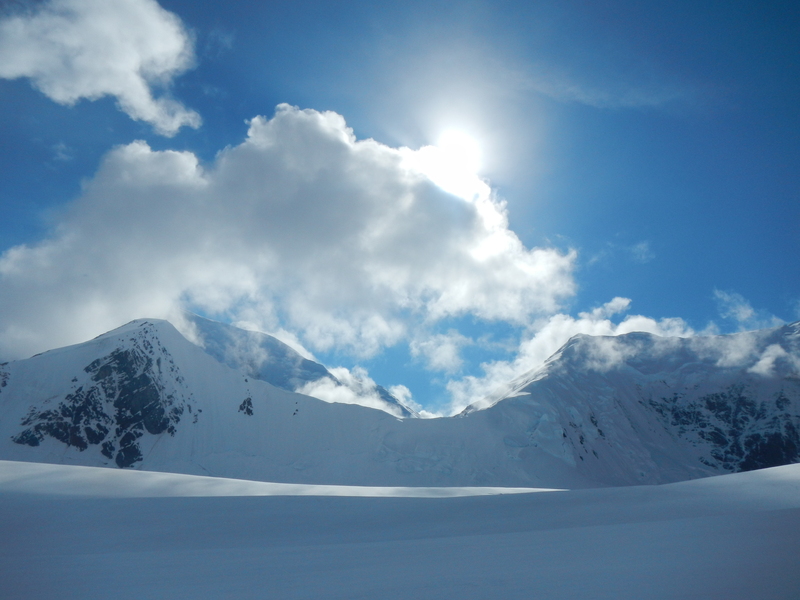 The following morning, we broke camp and headed up to Camp 2 at 11200 feet. Again, my rope team rocketed off up the mountain, quite unnecessarily to be honest, but we made Camp 2 in acceptable weather without incident. 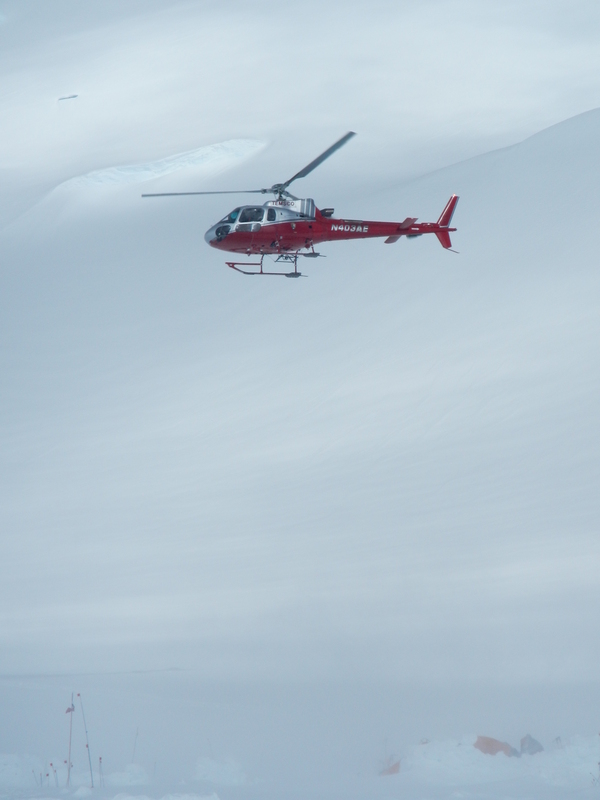 As we flattened snow and erected tents, a rescue helicopter flew around, hovering over Motorcycle Hill. We would spent a couple of days here, waiting for the avalanche danger to reduce before caching above Windy Corner, (which didn’t live up to it’s name!). In the photo below you can see the zig-zag trail going up Motorcycle Hill, with a more direct route broken by groups descending.